How do you prefer to receive information about trending topics and breaking news? 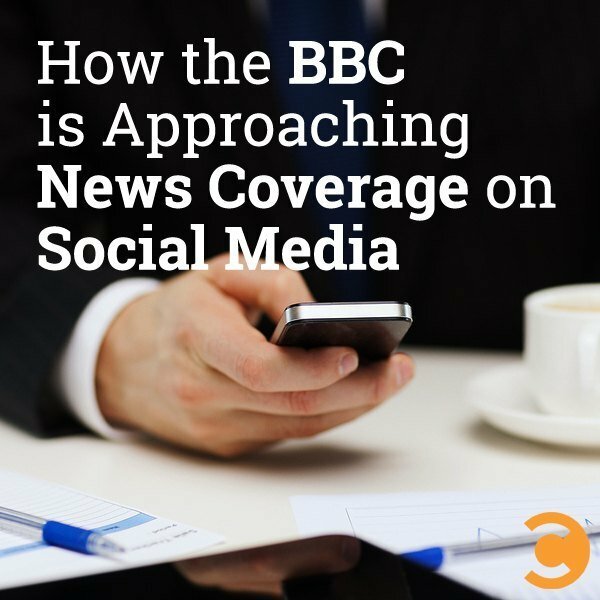 If the BBC has anything to do with it, you’ll tune in on Instagram, Twitter, and Tumblr. 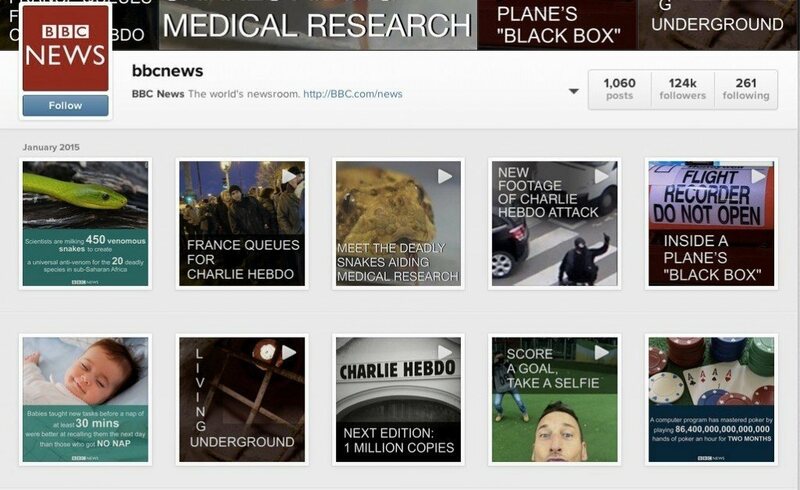 Following a 2014 announcement to launch and experiment with BBC Instafax, a collection of :15 second Instagram video clips on popular news topics of the day, the global news outlet has re-branded the program and expanded it to new social media channels. Look closely at the videos, and they all have a consistent branding and structure. Each has an intro tile with the headline for the video, which is eye-catching and quickly communicates the topic covered. Watch the video, and each story is covered in a quick yet effective manner that is in line with the tone of a longer-form piece. It’s also worth noting that the combination of sound and text works well together to communicate the key headline and other important portions of the story. The goal of this initiative? Engage with a new generation of viewers who over-index on mobile and tablet use and favor short-form pieces of content on the topics they care about. 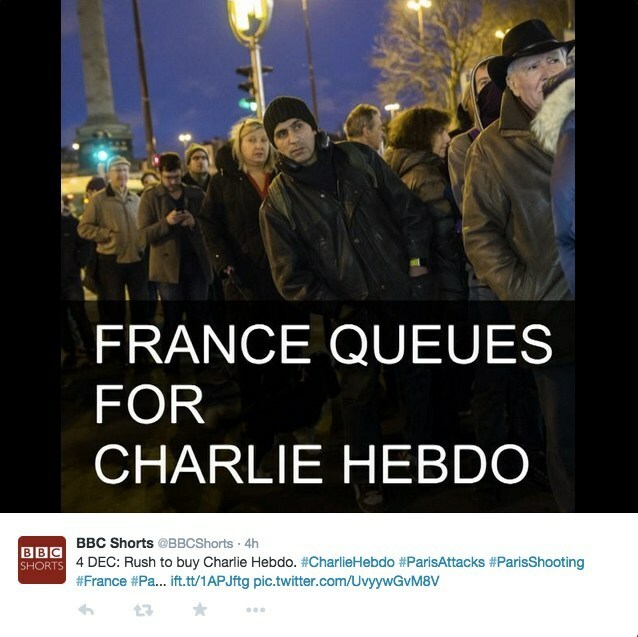 Recent stories covered include the Charlie Hebdo attacks, Air Asia 8501 tragedy, CES, and more. Of the recent coverage, the cadence and tone of the Charlie Hebdo attacks really stands out. An incredible tragedy with many layers and breaking news developments, BBC Shorts has done a good job of mixing audio with visuals to tell the story and keep its community informed.